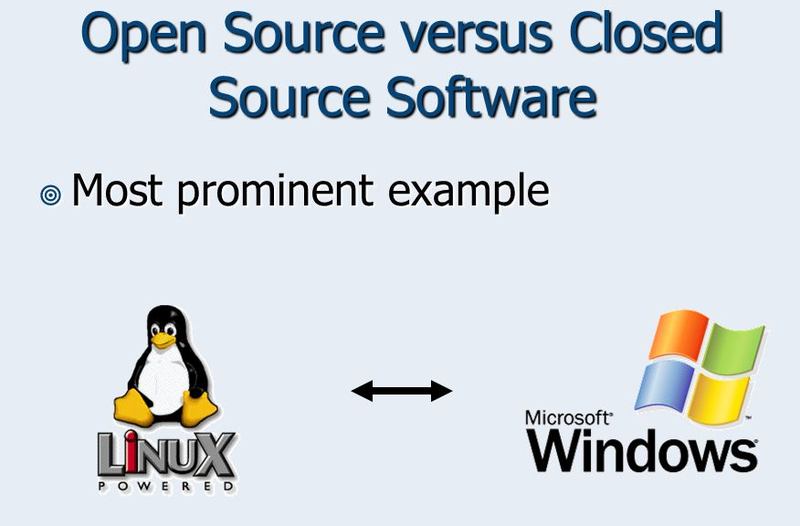 If Linux comes to mind when you use the words "open source," what comes to mind when you use the words “closed source?" Microsoft Windows, no doubt. This reputation has come after decades of boxing its customers in and ensuring that no other products are cross compatible with their own. Remember the browser wars? Whether it was Internet Explorer vs. Netscape, or Internet Explorer vs. Firefox, Microsoft employed all of its brass-knuckles tactics to try to stifle any competition to its browser. It's not just consumers and developers who have been angry over Microsoft's strong-arm tactics. Governments have tried to clamp down against Microsoft in the past. A number of cases, like United States vs. Microsoft and European Commission vs. Microsoft, charged the tech giant with anti-competitive behavior for using the operating system monopoly it had with Windows to freeze out competitive products -- like Netscape. It’s obvious that Microsoft was never a fan of Linux or the open-source community, which basically came into the picture mainly because of Microsoft’s market-capturing tactics. Where there is oppression, revolutionaries are born, and open-source developers are just that. The entire open-source movement has been a long, drawn out battle between thousands of developers and giants like Microsoft, which tries to force people to use only its software. 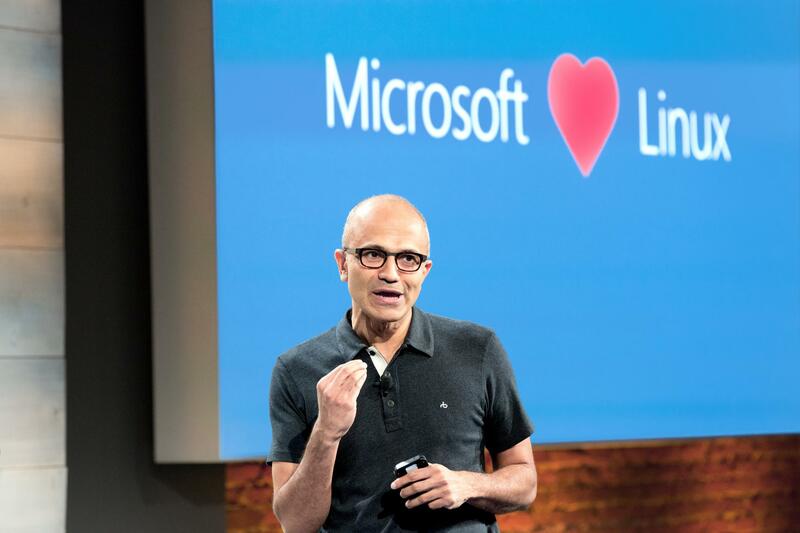 In what came to many as the WTF moment of 2016, Microsoft joined the Linux Foundation. And as Platinum Member, no less! Over the course of just the last few years, Microsoft has gone from oppressor to champion with a $100,000 annual donation to the Apache Project, making it one of only three platinum sponsors along with Google and Yahoo. Microsoft has also essentially built Canonical’s Ubuntu distribution into Windows 10, brought SQL server to Linux and, lo-and-behold, contributed 22,000 lines of code to the Linux kernel. Who would have imagined this just a few short years ago? As if burying the hatchet with Linux wasn’t surprising enough, Microsoft in 2016 also released some of its key components to the open-source community, including .NET, PowerShell and Cortana Voice. But the surprises didn’t end there. Microsoft also welcomed Google into its .NET Foundation's “Technical Steering Group,” stating that this development reinforces the vibrancy of the .NET developer community. Microsoft does seem like it wants to make friends with just about everyone now -- even longtime arch-rival Apple -- and has also released a preview of Visual Studios for Mac OS. Visual Studios is a tool focused on building apps for mobile to cloud. In what may have been the biggest shock of 2016, Microsoft became the No. 1 contributor of open-source projects on GitHub. It also announced the release of Visual Studio Code under an MIT License and posted its source code to GitHub. Visual Studio Code is a source-code editor that is compatible with Windows, Linux, and Mac operating systems. Git was created in 2005 by none other than Linus Torvalds -- Mr. Linux himself. In total there are about 16,419 contributions to GitHub projects from Microsoft over the past year, which is about a 1,000 more than Facebook and 1500 more than Docker. A new version of Visual Studio team foundation server was also launched and features enhanced code searches, package management, and a new work item form that features checklist improvements as well as a number of other improvements including those to the dashboard and widgets. And also last year, Microsoft acquired Xamarin, a San Francisco-based mobile-app development tool company that has been committed to open sourcing its SDKs for Android, iOS, and Mac. 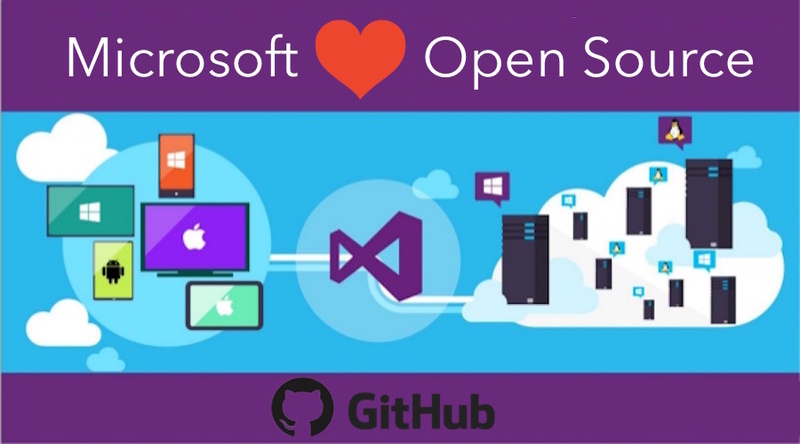 To leave no stone unturned in this sudden public display of affection toward the enterprise and open-source community, Microsoft also launched Visual Studio tools for Docker, which allows developers to develop, run, debug, and update their ASP.NET core applications in a Docker container. If that weren’t enough, they’ve also added Kubernetes as an orchestration support tool to Azure Container Services. One of the biggest and most awaited surprises was the announcement that SQL Server is now compatible with Linux, Mac, and Docker. This move is clearly targeting enterprise Oracle installations, but how big a dent they can make in that segment remains to be seen. Microsoft definitely seems like it’s doing everything in its power to get back in everybody’s good graces and remove that “big bad corporation” tag that it earned so deservingly. But the past isn’t that easy to erase, and a lot of people are still skeptical about Microsoft’s involvement in the open-source community. Microsoft, meanwhile, seems to be sincere in its efforts and seems to be finally able to see the bigger picture that it was missing all along. The big picture in this case being Microsoft's own “mobile-first, cloud-first” strategy, which is focused on building cross-platform enterprise apps that are mobile ready. The really big picture, however, is that in today’s world no successful projects are the sole efforts of a single corporation, but rather the products of large teams backed by huge technological giants like Google, Microsoft and Facebook. A recent study found that almost 60 percent of IT hiring managers say they are planning to add open-source workers to their staff in the next six months. Microsoft is finally on the right track with its focus on open source, but time will tell how dedicated they really are.